Wargaming Forum and Wargamer Forums > Fiction, Art and Roleplay Game Discussion > Roleplay Games > Are all dice rolls random? Are all dice rolls random? I looked into dice rolls and the actual chance percentages and came up with this. I hope it gives anyone some advice and help! Edit done to link to the original writer of this article. Last edited by scscofield; 04-08-17 at 05:33 AM. The link is not working for me...could you post the article here pretty please ? Or you could post it all here and save us clicking a link to another site. don't bring statistics into dice rolls, especialy in warhammer it never works out for me. what people are trying to say is that we would like to keep traffic coming here not redirected to another website. It has been brought to my attention that this article is actually an altered version of an article by Ben P. Stein at https://www.insidescience.org/news/d...pletely-random . The OP does mention that this is originally an article posted by Mr. Stein, but they do so after they attempt to sell you a dice tower. They have also altered the article in it's original form. It is not known if this was done with the permission of Mr Stein or not. Dungeons and Dragons, Warhammer, Most Board games, Yahtzee and a huge number of other games all rely on throwing dice--from the 4-sided pyramid shape to the familiar 6-sided cube and the monster 20-sided variety. 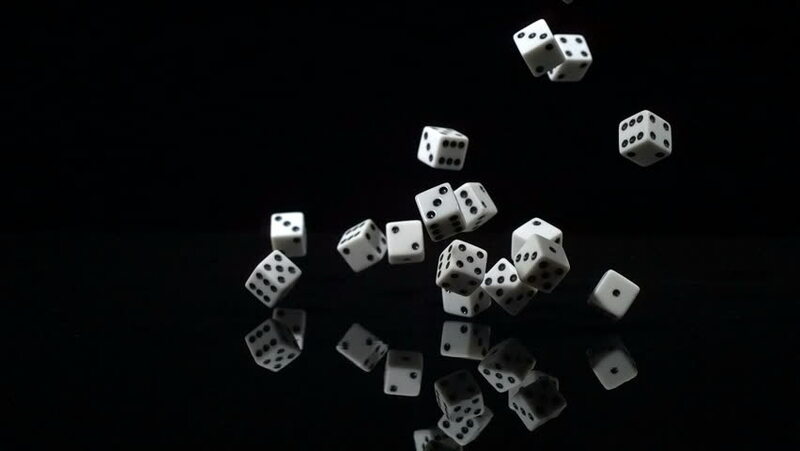 The dice in all games are meant to introduce an element of chance; we expect that the outcomes of the rolls will be truly random and unpredictable. However, new theoretical models and high-speed movies of dice rolls of numerous shapes and sizes confirm this is not the case. 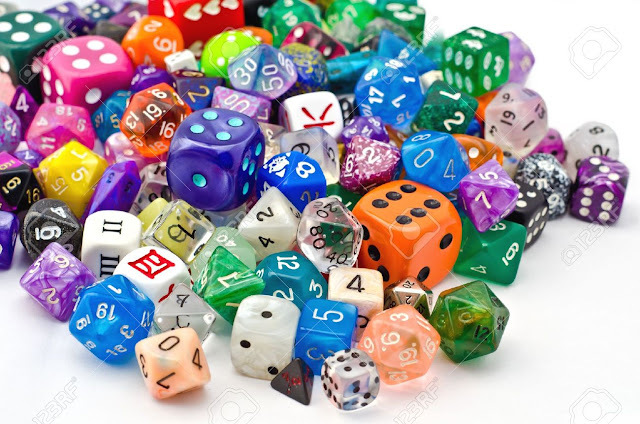 They show that dice thrown with a 1 on the top are slightly more likely to land as a 1 than as the other values for every type of the various kinds of dice. But at the same time, it's usually too hard for someone to predict the outcome of the throw of a single die. Exploring a question that was debated in the 17th century by scientists and mathematicians Blaise Pascal and Pierre de Fermat, and many others before and since, doctoral student Marcin Kapitaniak at the University of Aberdeen, Scotland and his co-authors created a sophisticated theoretical model of the die throw in three dimensions. They considered how the effects of gravity, air resistance, the friction of the table, amongst other factors influence the outcome of the roll. In addition, they observed the fall of the die with a high-speed camera that could capture the die's trajectory at a rate of 1500 frames per second. What did they find to be the most important factor? Tomasz Kapitaniak, of the University of Lodz in Poland claims it's "The initial position of the die." Small changes in the position can significantly affect the outcome. Other factors are less significant. "The air resistance can be ignored," he said. However, he quickly added, "friction is important." With a high-friction table, in which the dice can't slide across very easily, the dice tend to bounce around more times, tumbling and twirling, and making the results harder to predict. With a smooth, low-friction, or soft table, the dice tend to bounce fewer times. Even bouncing doesn't always mix things up. The high-speed video showed that dice frequently did not change their face even after a bounce. Could gamers use this knowledge to their advantage, by placing the desired value of their roll as the highest-lying face of their die? "I don't know how to use it practically," Kapitaniak wrote. Players would have to know everything so precisely; most importantly, the exact position of the die, to be able to predict the results with certainty. If not random, is the die roll chaotic--the popular concept that originated in the second half of the 20th century, in which small differences in starting conditions can lead to large differences in end results? The most common example is the hypothetical picture of a butterfly flapping its wings in South America changing air circulation patterns to influence the weather halfway around the globe. The end result is knowable only if you have precise knowledge of the starting conditions of the world's weather. A die roll is chaotic only if it bounces on the table an infinite number of times, according to Kapitaniak. But this is far from attainable, due to the fact that the die loses energy with each bounce due to friction. With the high-speed camera images and the new theoretical treatment, this advice provides a new contribution to the question of the true randomness of dice throws and coin tosses. It contributes to an increasingly sophisticated understanding of what can be considered fully random in everyday life. And in a more practical vein, if you're playing Dungeons and Dragons or any Role Play Game tonight, it probably wouldn't hurt to start your roll with the coveted 20 on top--it may occasionally give you the desired results, while Dungeon Masters could insist on playing on the roughest, highest-friction table they can find. Last edited by scscofield; 04-08-17 at 05:40 AM.